The idea of such a project is timely as it is now a century since the Great War (1914-18) wherein much of a generation was lost on the Flemish fields, reaching their peak with the Battle of the Somme in 1916 with over 420, 000 casualities. And with this huge sacrifice, we are left to ponder on just how much in terms of artistic creation, including music, died along with it. Christopher Latham’s Sacrifice: The Lost Songbirds of the Somme must therefore automatically rank amongst the finest. Taking on the form of a Requiem for the War Dead, Latham brings together a fine selection of pieces, which would have been popular for such events at the time. 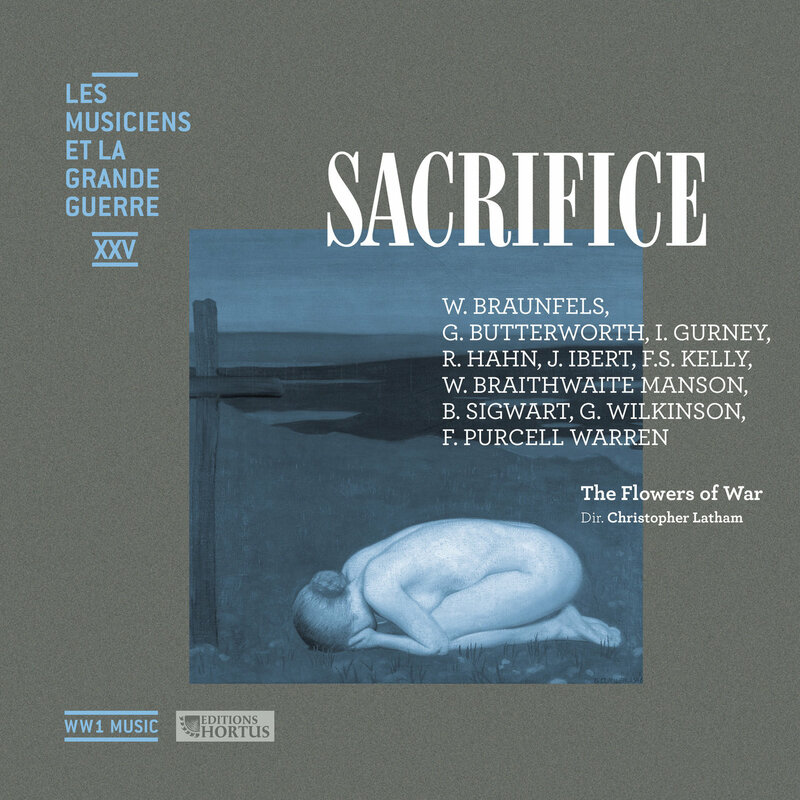 The prerequisite Funeral March from Handel’s Saul sits alongside extremely well thought out selections by those who perished during the First World War as well as touching contemporary songs and short instrumental pieces by the likes of Jacques Ibert and Reynaldo Hahn. Of the compositions by those who fought in the trenches, we find many new names (Braithwaite Manson and Purcell Warren) as well as Australia’s own English-trained Frederick Septimus Kelly. ABC previously released a two CD set devoted to Kelly featuring Latham, including the Elegy for Rupert Brooke featured here, though this arrangement, given on a series of instruments which would have been perhaps more easily available for those in the trenches – accordion and pipes – alongside piano and strings, is perhaps even more touching. Latham’s group of musicians provides the most delicate of accompaniments for tenor Andrew Goodwin who proves to be the ideal vocal exponent for material ranging from Hahn’s hypnotic À Chloris through more familiar poetic settings by Butterworth and Gurney. Thankfully, Goodwin proves to be removed from the somewhat pinched Pears school of vocal delivery and style, whilst presenting a requiem for a doomed generation of youth.